We are looking for creative first generation Aggies who are graduating in 2019 to share your experience of being a first generation student using any art form. Top two winners will receive a stole and next two winners will receive a t-shirt. All entrants will receive a first gen UC Davis lapel pin that you can wear for graduation and show your Aggie pride! Entries can be original photographs, works of art, poems, stories, songs, or other works of fine or performing art. You can submit photos, text or videos. NO PURCHASE OR PAYMENT IS NECESSARY TO ENTER. INTERNET ACCESS AND A FACEBOOK or INSTAGRAM ACCOUNT ARE REQUIRED TO ENTER. Entry Period: Opens Tuesday, March 26 at 12pm and ends Friday, May 3 at 5pm (PST). Winner Announcement: On Friday, May 10th on the UC Davis First Gen Facebook page and Instagram account. Facebook: Post your work on your Facebook account, include the designated hashtags #UCdavisFirstGenGrad. Private posts will not be entered into the contest as we will not be able to see them. Enter using only one (1) Facebook account registered in your name. 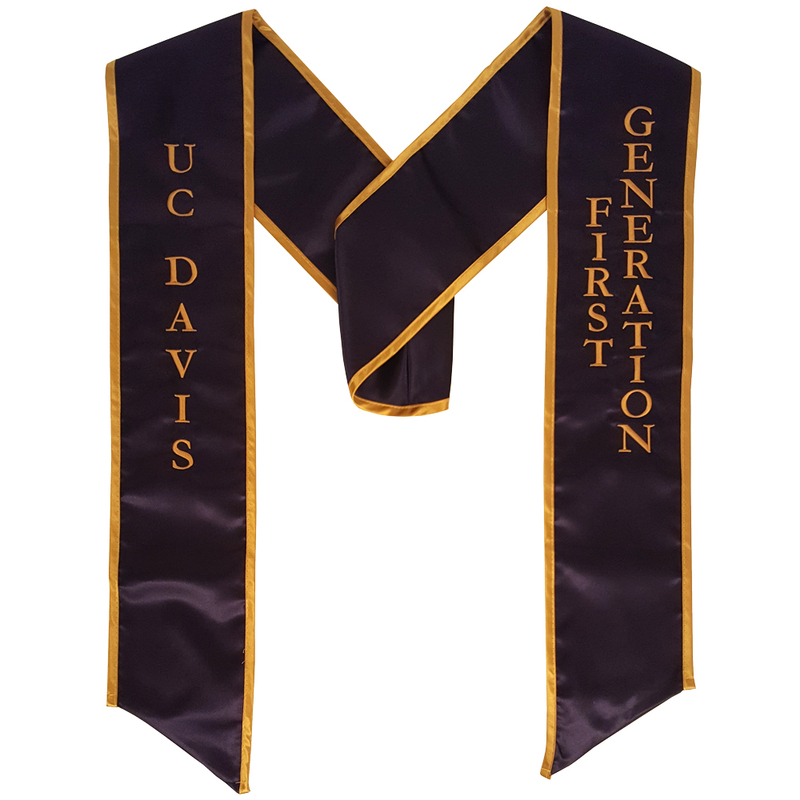 Instagram: Post your art form on your Instagram account, include the designated hashtags #UCdavisFirstGenGrad, and tag us @UcdavisFirstGen. Private posts will not be entered into the contest as we will not be able to see them. Enter using only one (1) Instagram account registered in your name. Photos must be the original work of the entrant and may not infringe the intellectual property, privacy, publicity rights, ownership or any other legal or moral rights of any third party. Students are encouraged to submit entries consistent with the Principles of Community. Entries depicting or containing illegal activity will not be considered. The winner will be chosen by the FirstGen team based on creativity and the connection to our FirstGen theme. There will be two Grand Prize Winners, one falling under the “Visual Arts” category and the other falling under the “Writing” category. There will be two second place winners, one falling under their respective category. All submissions will receive a FirstGen graduate pin. This contest is open to all current UC Davis 2019 graduating students. Employees of the Undergraduate Office of Education and any and all other companies associated with the Contest (collectively, the “Promotion Entities”), and each of their immediate family members and/or people living in the same household, are not eligible to participate. Eligibility rules are subject to all federal, state, and local laws and regulations.